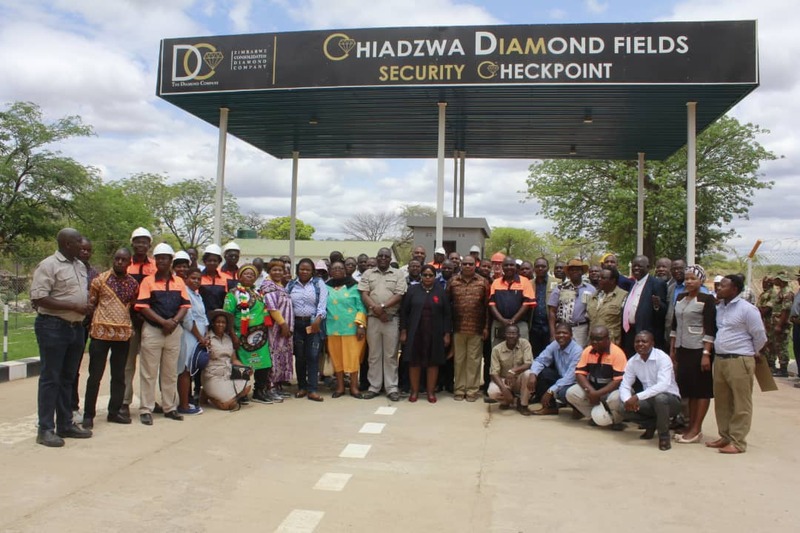 The Minister of State for Manicaland Provincial Affairs, Dr Ellen Gwaradzimba has said the Chiyadzwa diamond fields in Marange could do more for communities if better managed. Speaking during a tour of the famed yet notorious mines recently, Gwaradzimba said although she was a bit pleased with the progress that the Zimbabwe Consolidated Diamond Company (ZCDC) was making to contribute to the development of local communities, there was still a long way to go. what is happening at this mine and all the measures they are putting for the safety of the public. What I see here, however, doesn’t tally with the kind of development in the area. The province of Manicaland as a whole deserves more from the mining activities happening here,” Dr Gwaradzimba said. She urged the company to make sure that the people displaced by the mines and relocated to Arda Transau Farm are well looked after. “Those people have been neglected for too long and the company must now provide them with vital social amenities. Local resources should help to improve the lives of local people,” she said. She said she was particularly optimistic because of ZCDC’s drive towards improved transparency. “The company’s move to bring about more transparency in its operations shows we are now in the right direction for development in the country where the President is leading calls against corruption,” Gwaradzimba said. 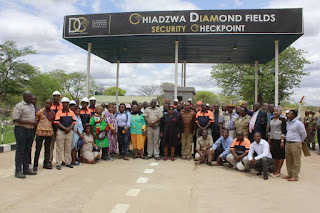 The tour came a day after a security indaba was held by the Chiyadzwa community, ZCDC management and other stakeholders. The Minister was taken through a new security checkpoint at the entrance to the mining area before attending a security induction which preceded the tour. ZCDC Chief Executive Officer (CEO) Dr Morris Mpofu gave a detailed profile of the company and highlighted its interests in other areas like Chimanimani. “We had a target of three million carats by the end of 2018 but due to foreign currency constrains, we have managed to produce 2.5 million carats. We are moving with speed to reach the expected target,” Mpofu said. The company has since announced that it intends to register artisanal miners and allow them to do alluvial diamond mining on some of its claims so that they would sell their mineral to government rather than on the black market.